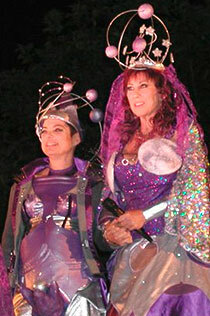 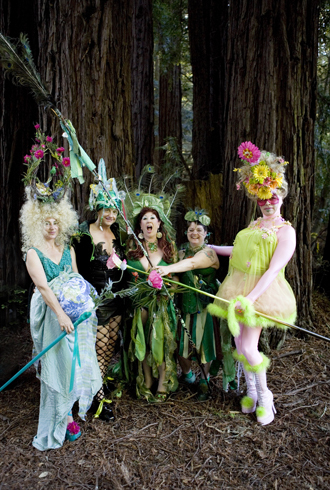 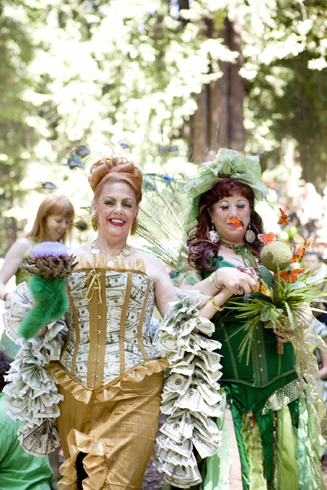 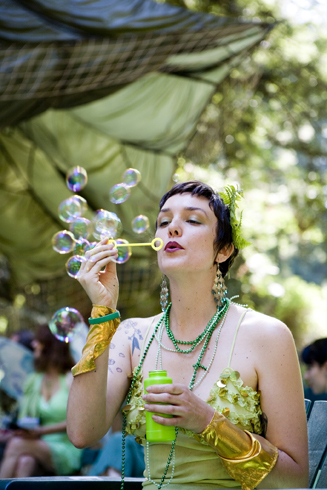 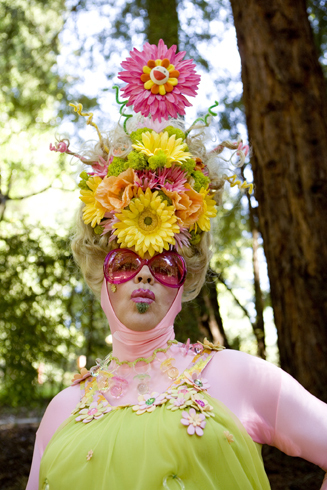 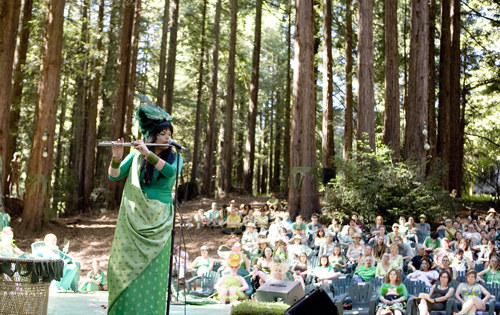 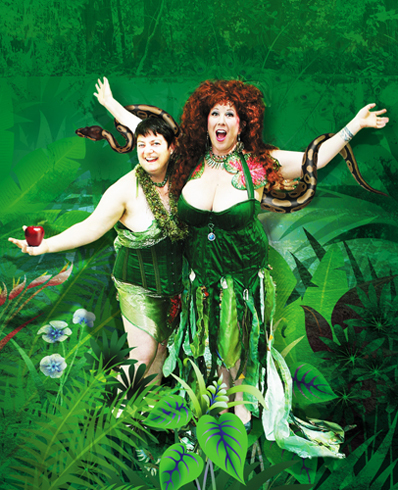 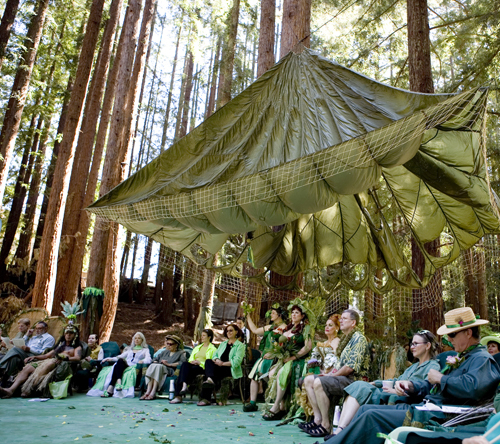 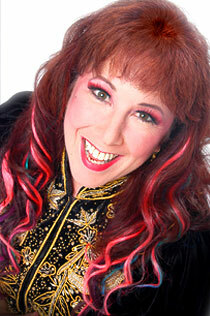 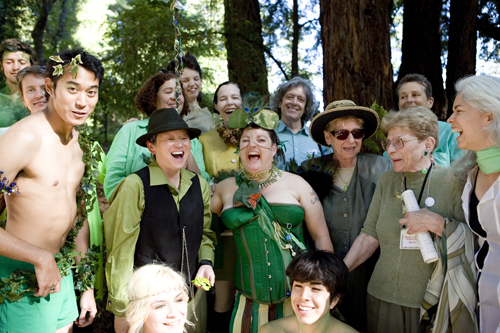 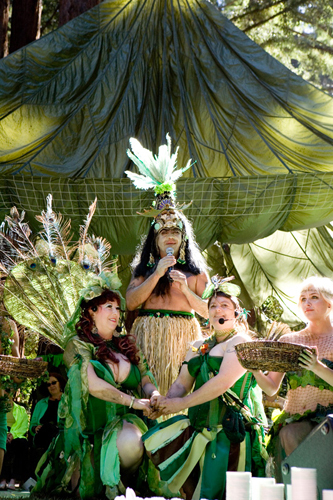 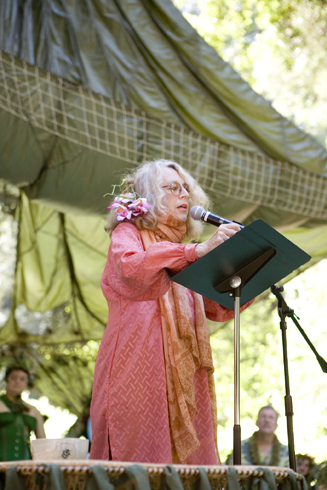 In the redwood trees of Santa Cruz, California, on May 17, 2008, 350 guests witnessed our Green Wedding #4. 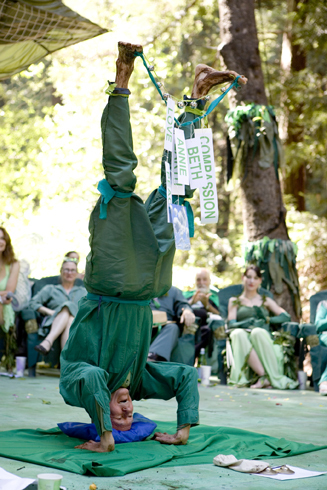 Our bridal parties and twenty six performance artists wowed the crowed. 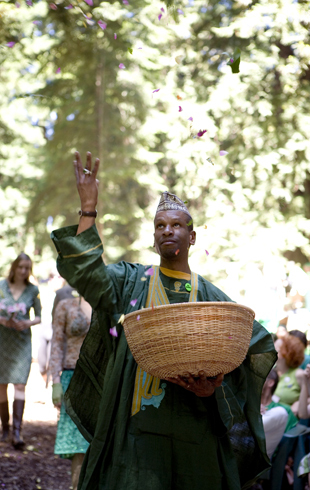 We made our vows to the Earth, officiated by Guillermo Gomez Pena as our High Aztec Priest. 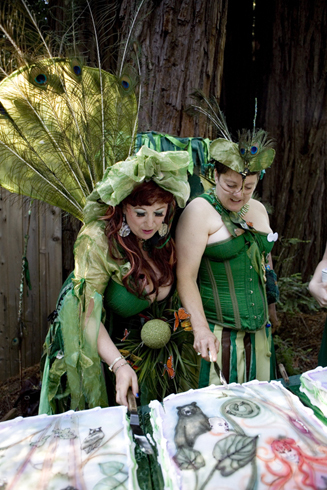 We asked for no material gifts, but invited people to help us co-create the wedding. 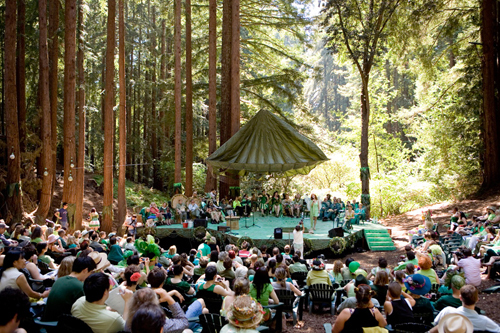 One hundred and seventy people volunteered and helped to make it happen (see program). 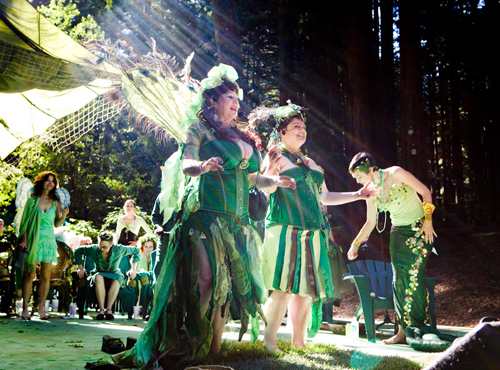 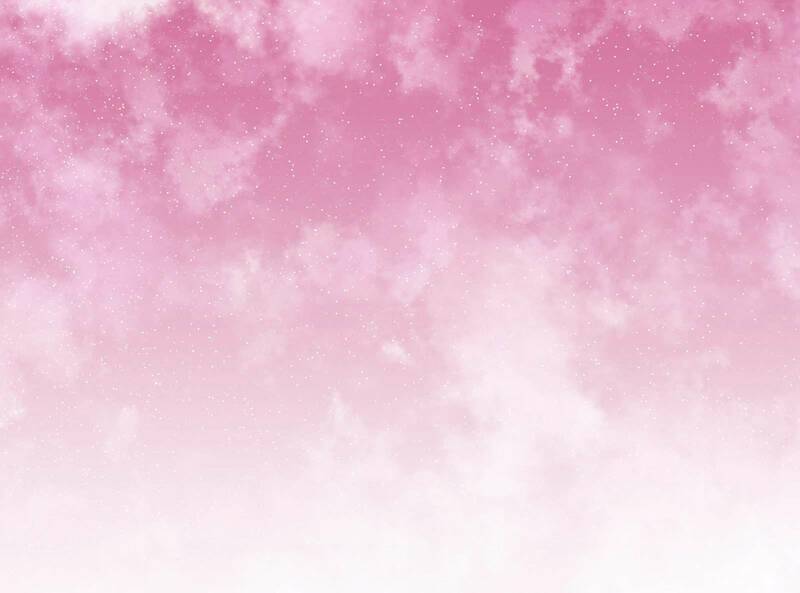 It was a dream artist wedding. 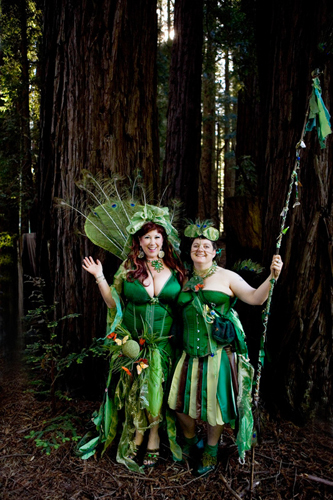 Here are some of the photos by Lydia Daniller and Danielle Barnett. 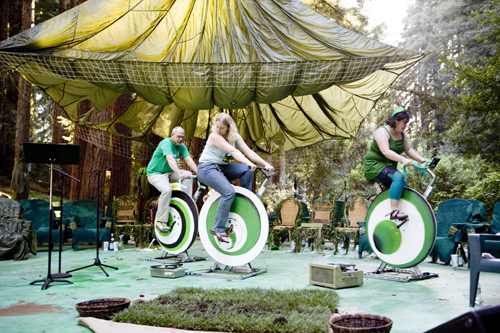 Video documentation to come.